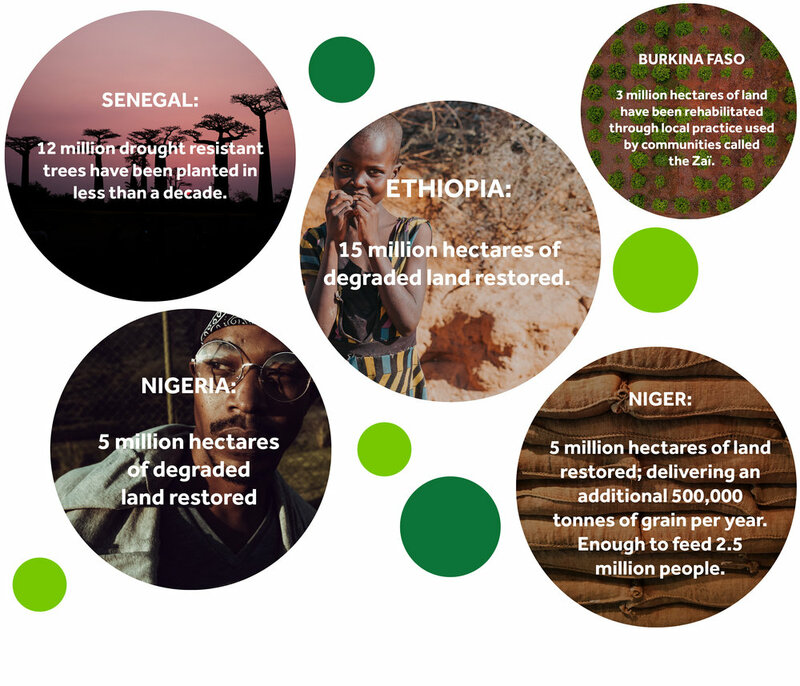 The Great Green Wall creates a barrier against climate change running across the Sahel region. This semiarid region of western and north-central Africa extends from Senegal to Djibouti. It forms a transitional zone between the arid Sahara desert to the north and the belt of humid savannas to the south.